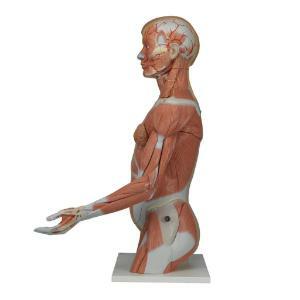 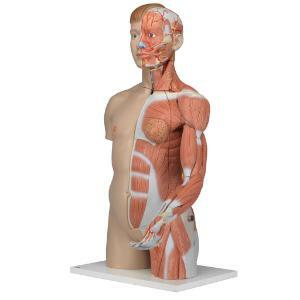 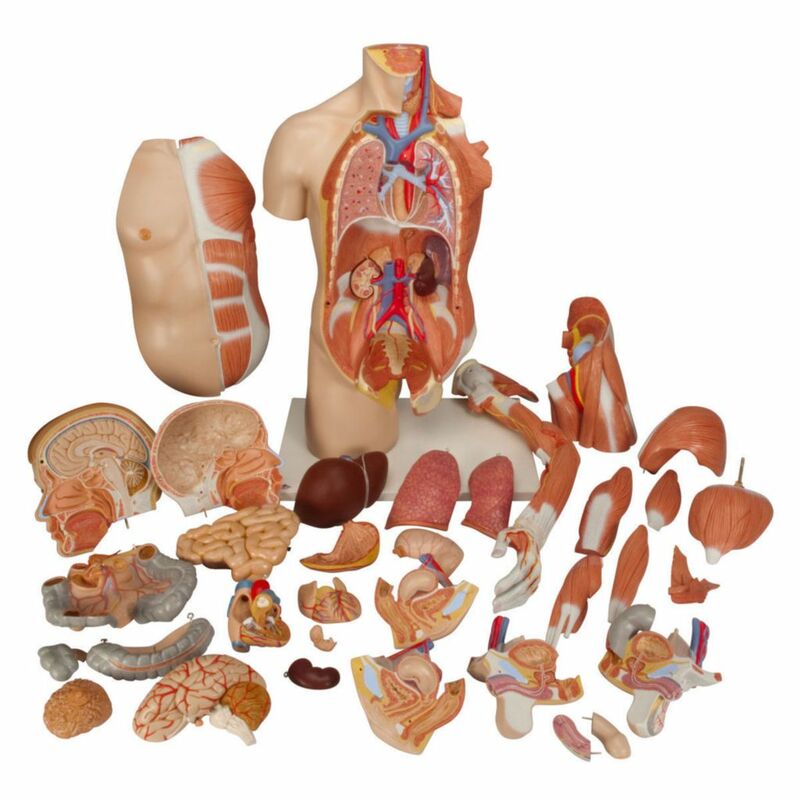 The high-quality human torso represents the complete anatomy of the human upper body, especially suitable for the high standards of medical school. 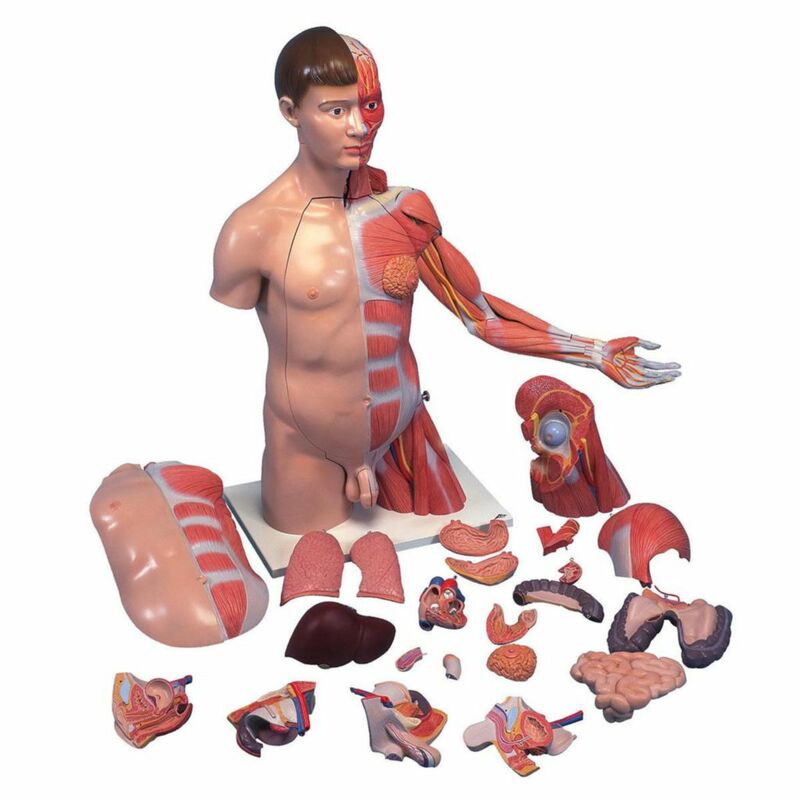 The versatility of this aesthetically designed human torso model is rounded off by the exact representation of the internal organs. 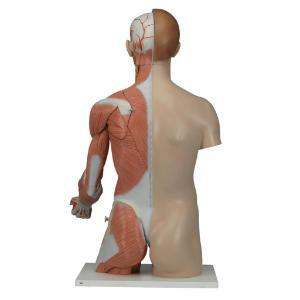 The right half of the torso shows the skin. The left half the superficial and deeper muscles with nerves, vessels and bony structures thanks to a removable six-part muscle arm.